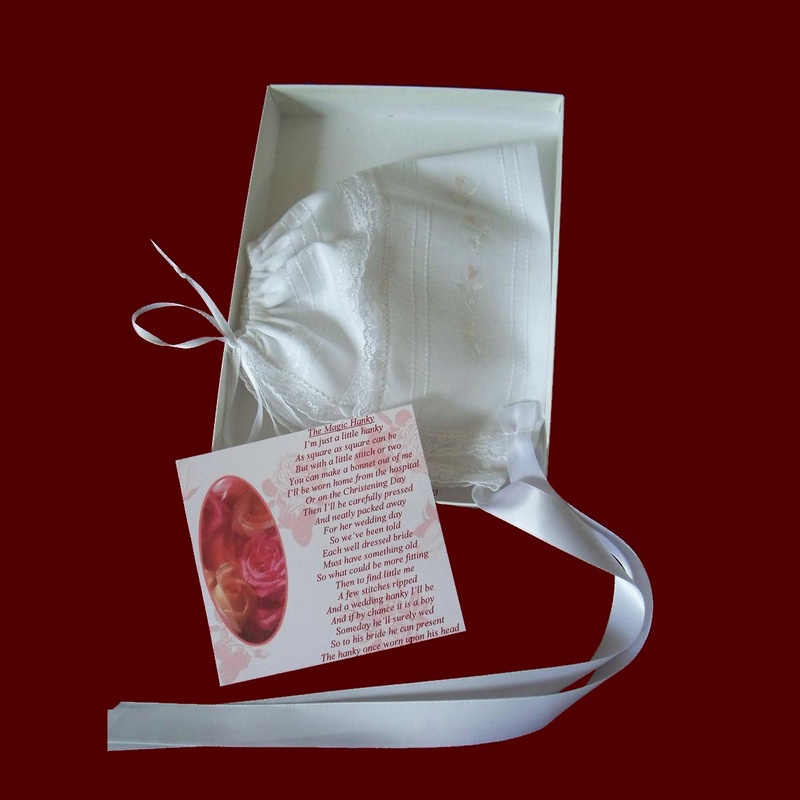 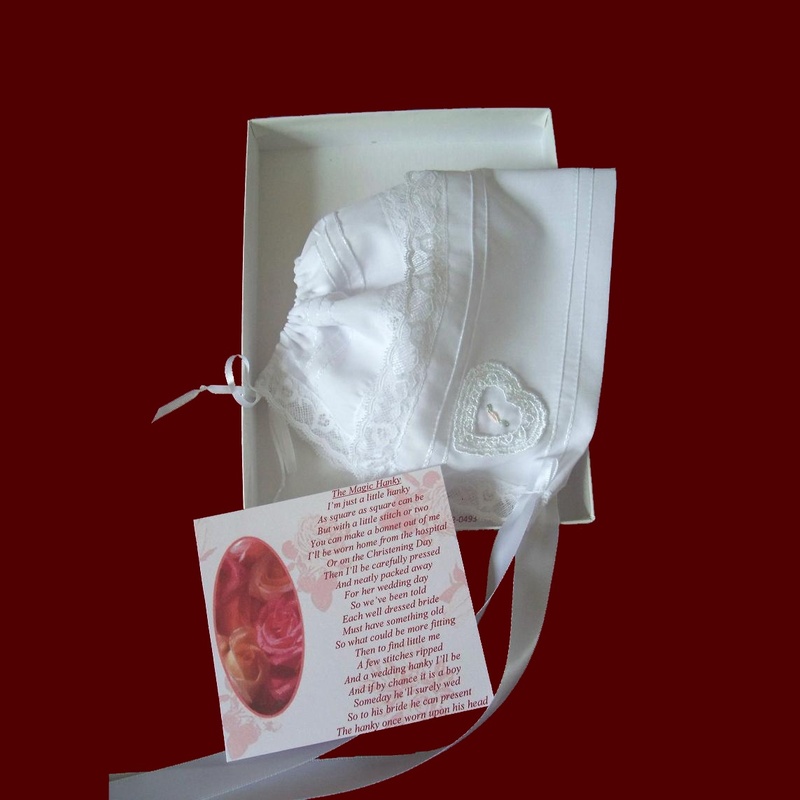 Magic Hanky With Embroidered Rosebuds. 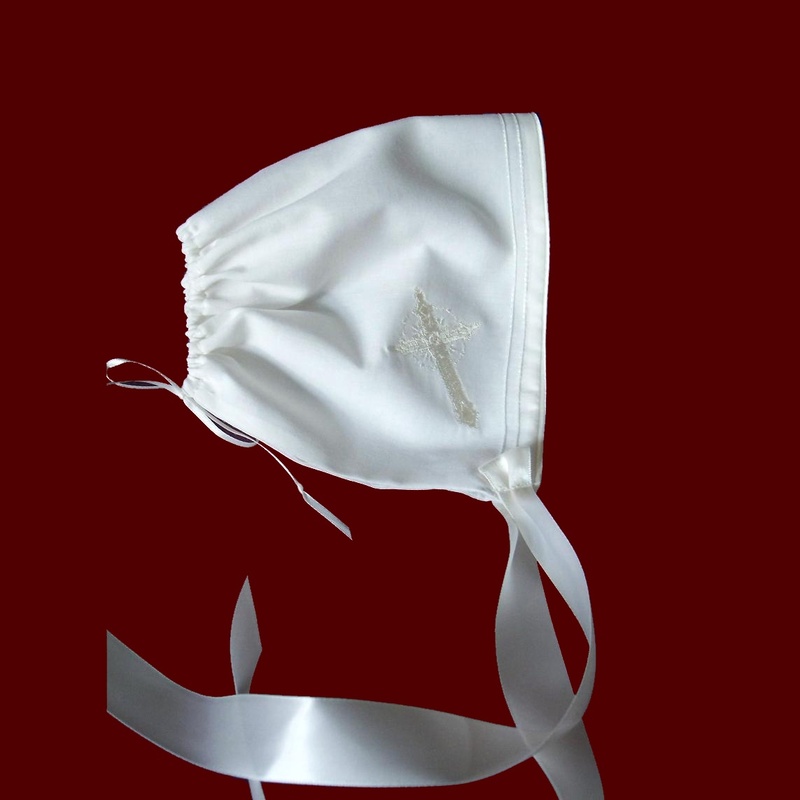 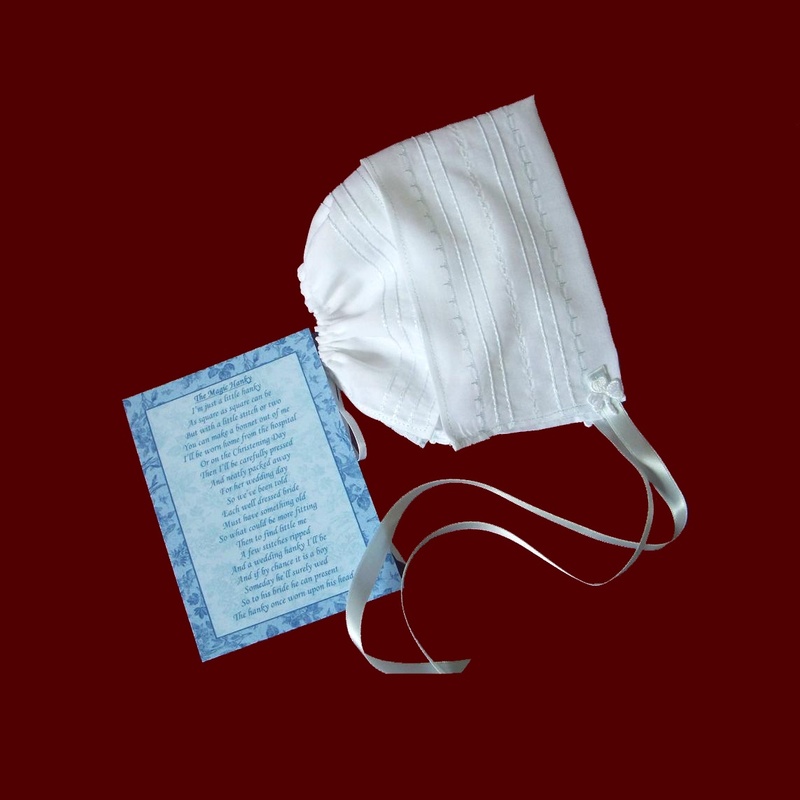 Magic Hanky Bonnet With Embroidered Cross. 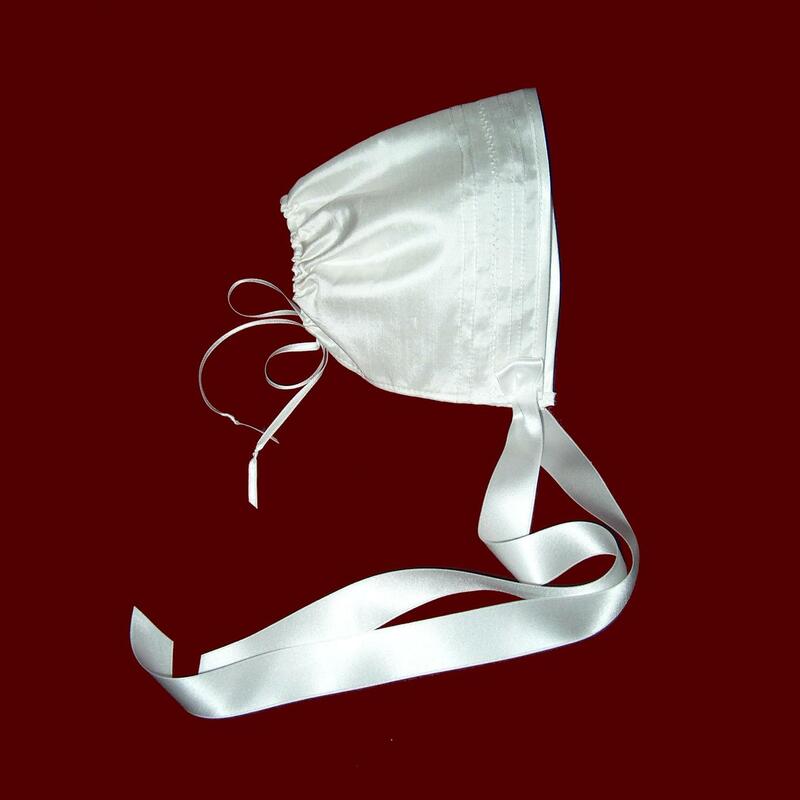 Satin With Beaded Trim & Organza Ruffle Bonnet. 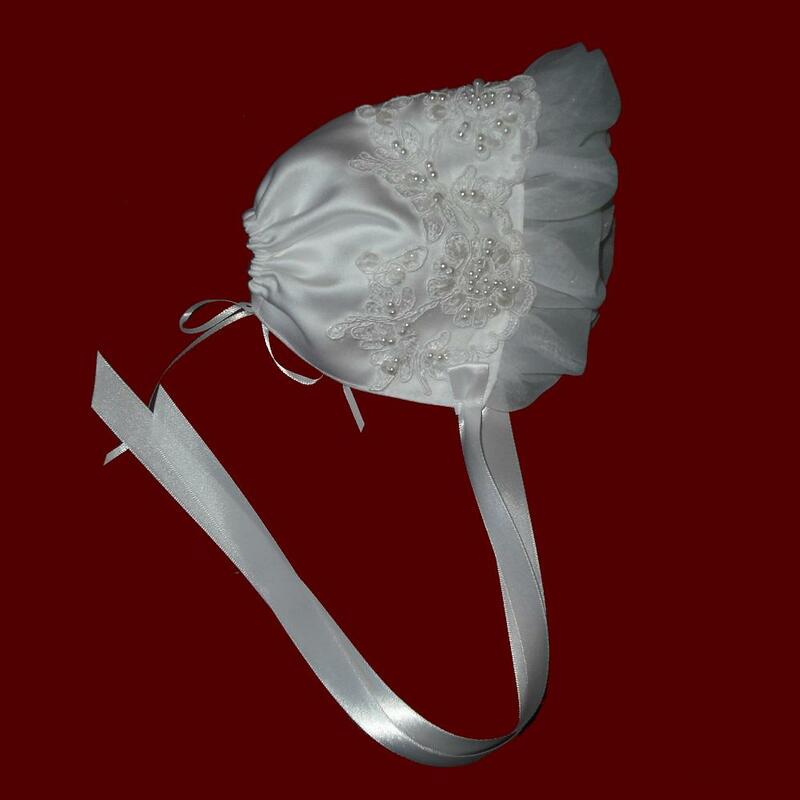 Cross Embroidered Girls Christening Bonnet With Marabou Boa. 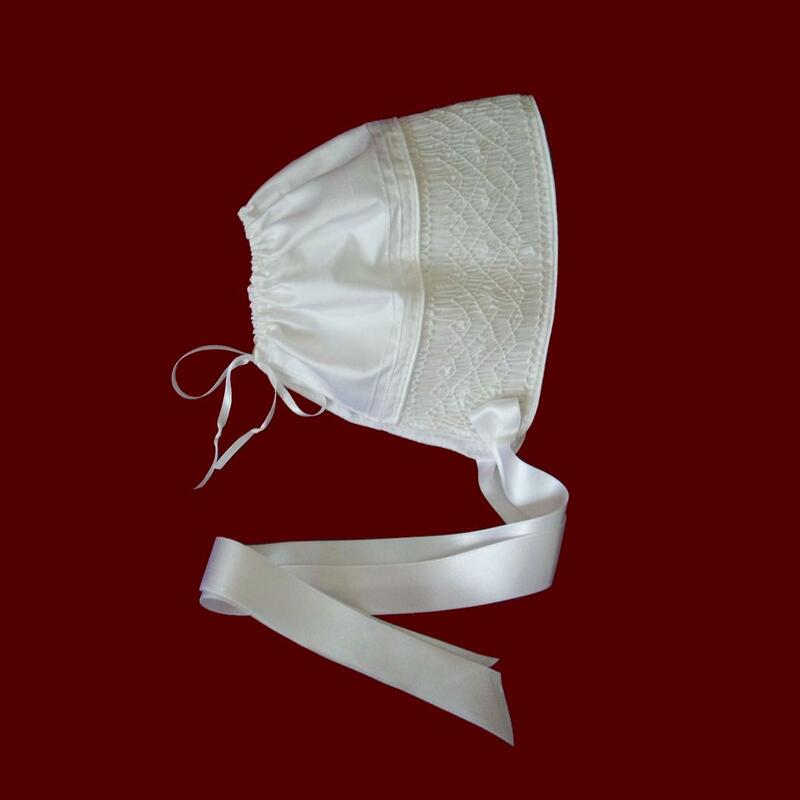 Silk Christening Bonnet With Embroidered Cross. 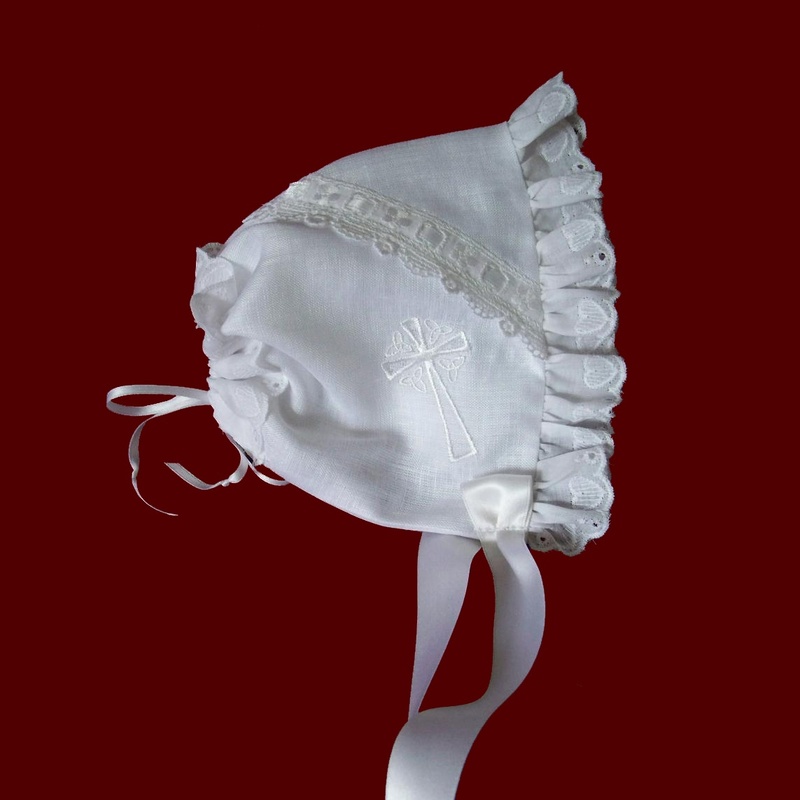 Boys Christening Bonnet With Embroidered Cross. 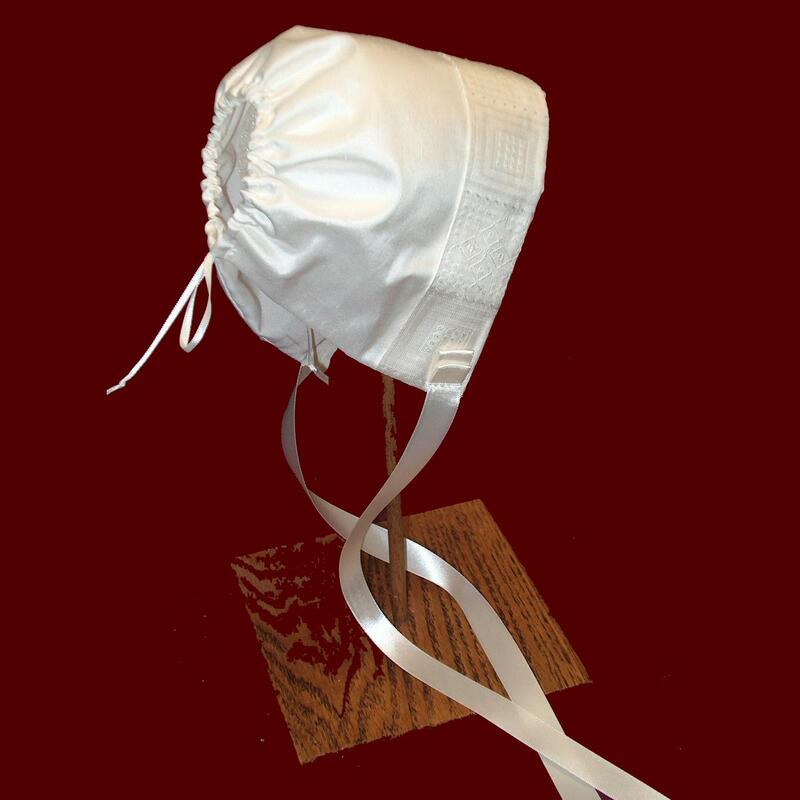 Boys Cross Embroidered Hat With Optional Brim. 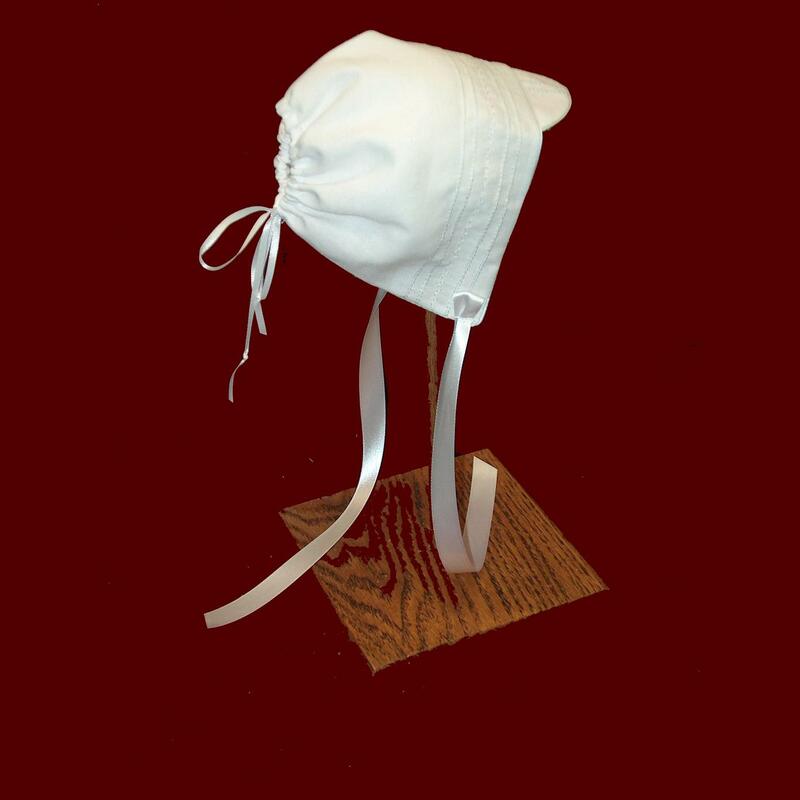 Embroidered Cross Boys Baseball Style Hat. 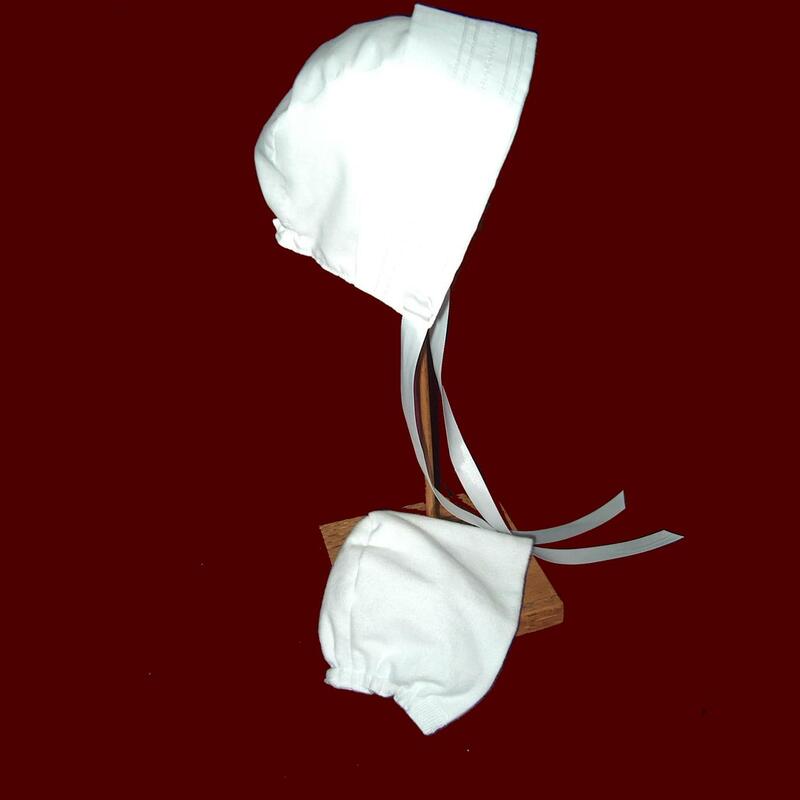 Embroidered Crosses Cap Style Bonnet for Boys or Girls. 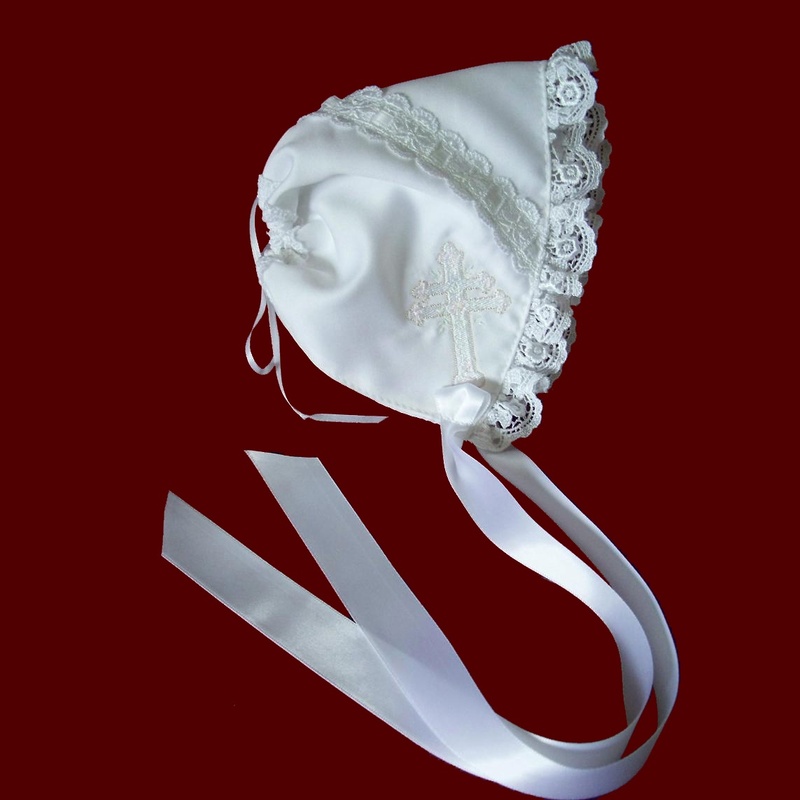 Irish Linen Girls Christening Bonnet With Celtic Cross. 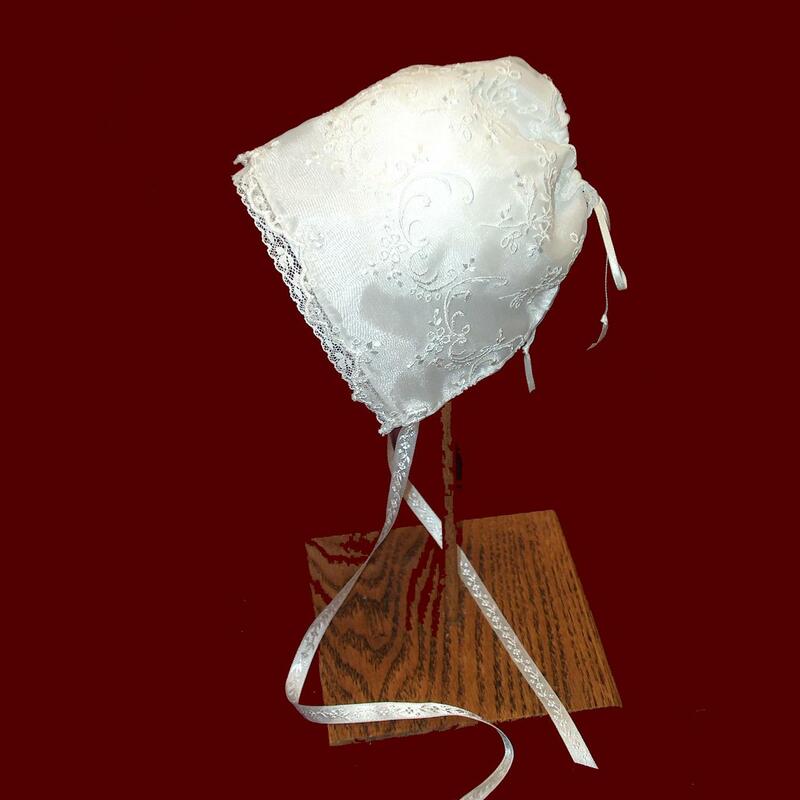 Silk Girls Bonnet With Pink Rosebud Trim. 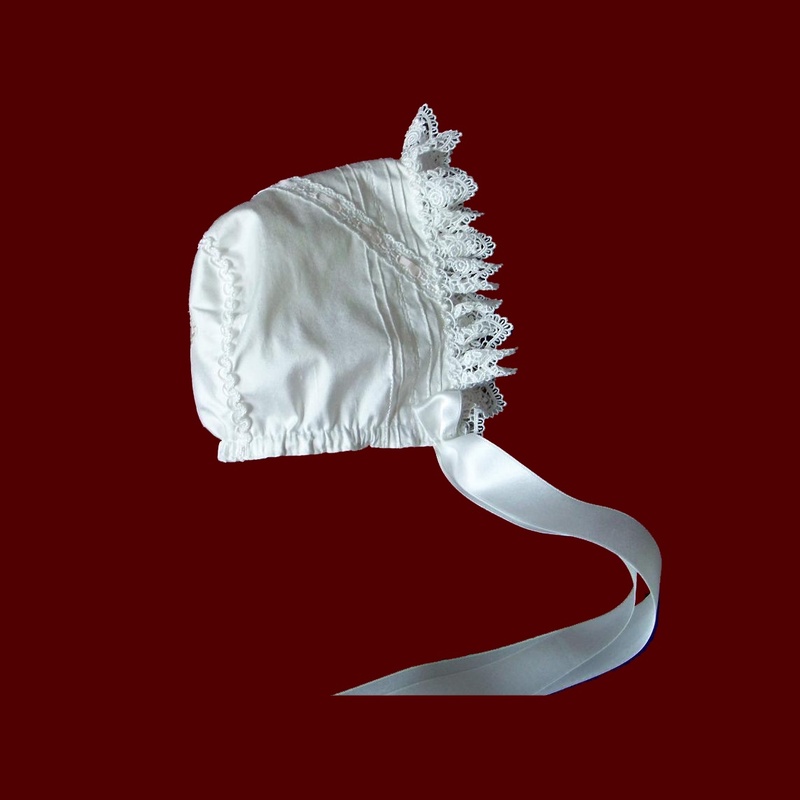 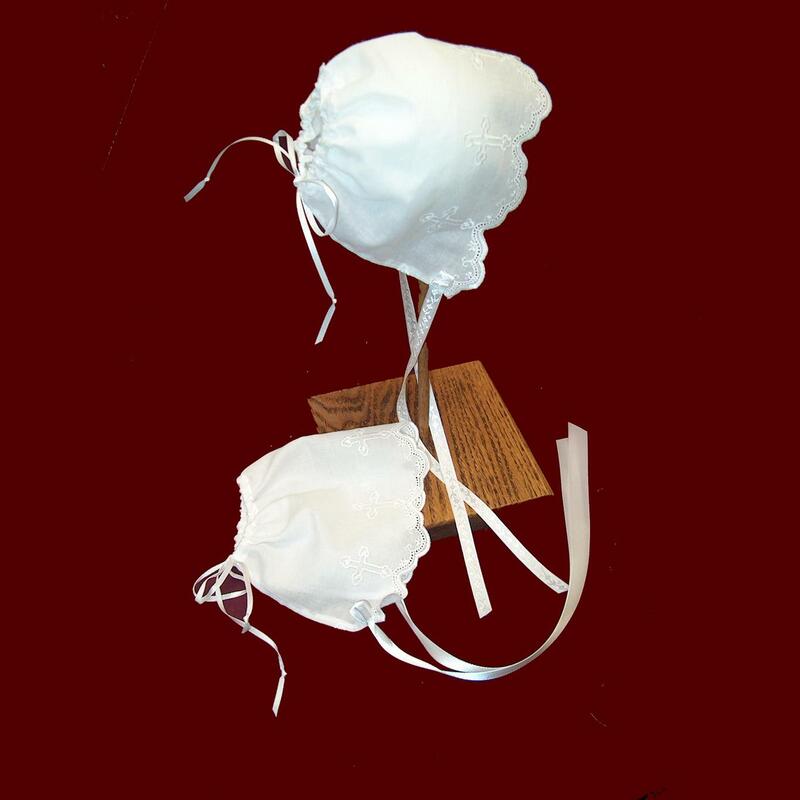 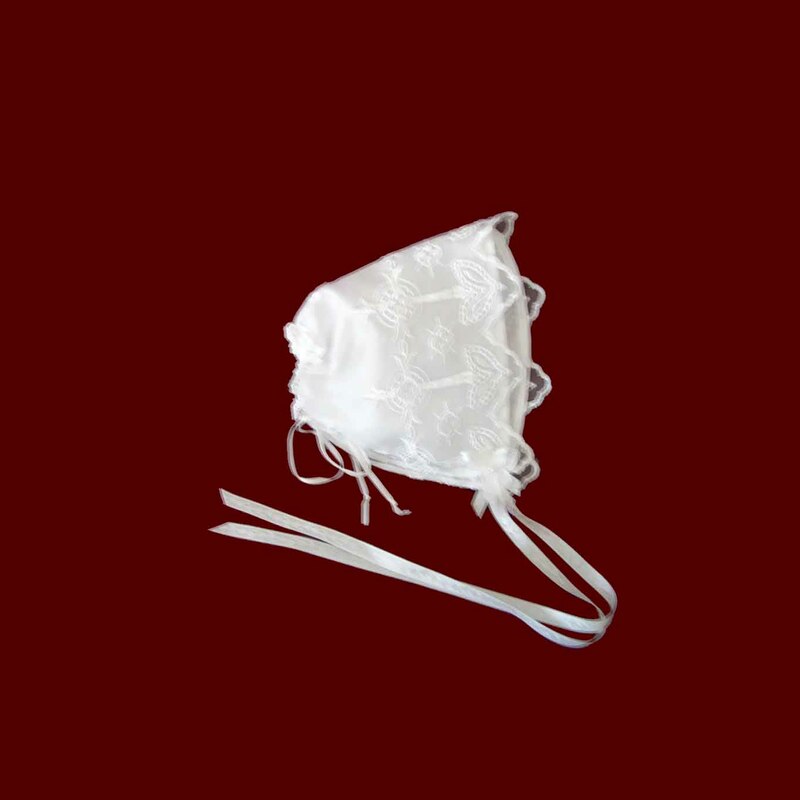 Silk Girls Bonnet With Organza Ruffle.